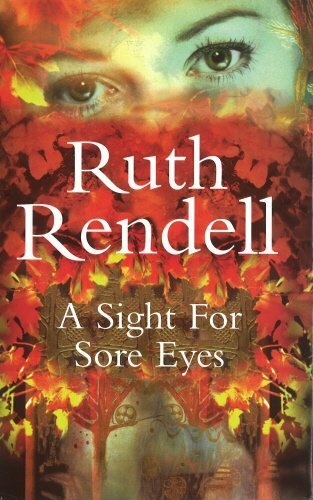 Nobody does North London squalor better than Ruth Rendell. Describing in vivid detail the cultural sewer in which a monster named Teddy Brex grows up, she uses hideous furniture, slovenly housekeeping habits, even his mother's diet while pregnant to root us in the setting's hopeless ugliness. In contrast, Rendell introduces people and places of stunning beauty: Francine, a mentally fragile girl who became mute after witnessing her mother's murder; and Orcadia Cottage, scene of a famous painting that is at the center of much of the story's anguish. "It was far and away the most beautiful place he had ever seen," Rendell writes when Teddy--a gifted woodcrafter--first views the cottage. "The proportions of this hall, this room... the windows, the walls, the carpets, the flowers, the furniture, the paintings, all of it dazzled him." Teddy is another of Rendell's frightening moral cripples, a seemingly ordinary person capable of the vilest crimes. When he becomes obsessed with Francine after meeting her at art school, we know to expect murder--we just aren't sure when, or who will be the victim. Equally vile is Julia, Francine's stepmother, a psychologist of such immense and malevolent ineptness that we would swear she couldn't possibly exist if real life hadn't taught us otherwise. Other important characters are Harriet, a faded beauty who connects the past to the present; Teddy's uncle Keith, who first recognizes the boy's madness; and a bright red, lovingly restored Edsel, which becomes a hearse.